An exciting 2 step libido enhancer for men! For ideal results consume 45 minutes prior to sexual activity. Forta Boost helps the blood vessels dilate, improving blood flow and circulation. As a result, you’ll see an improvement in male vigor and erections. While the Forta Advanced contains Maca, which has long been used in Chinese medicine to boost male virility, and fertility. 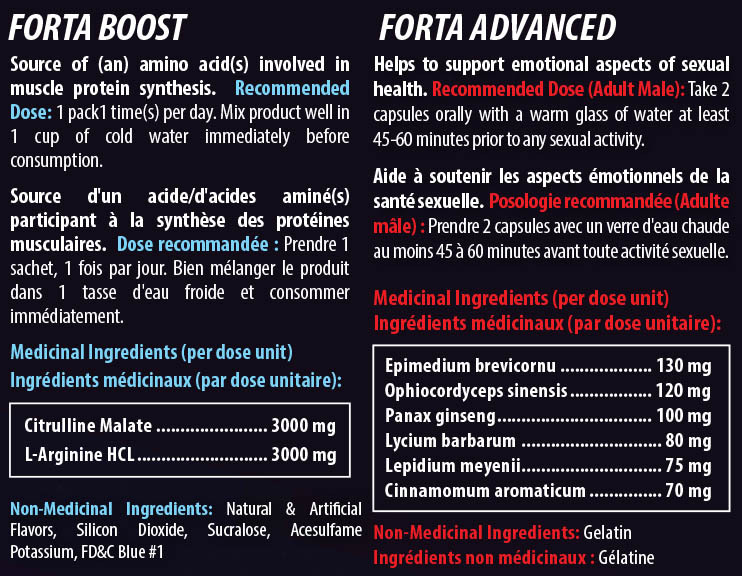 Taken together, Forta Advanced with Forta Boost work in conjunction, boosting Nitric Oxide, circulation and transportation of the the Forta Advanced, giving you more potent libido support, faster and more effective results.